Hey friends. 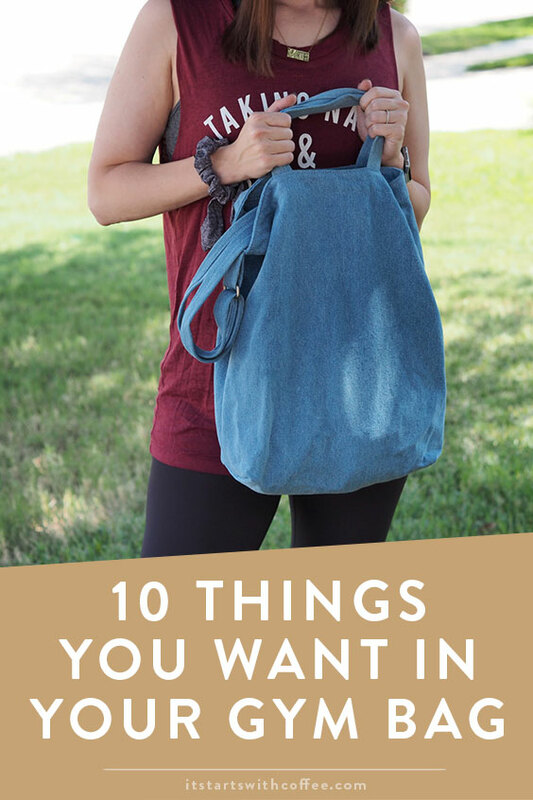 I have talked before about gym bag essentials, but today I want to share with you the top 10 things you want in your gym bag – including a new product from my partner, Protein One! Trust me on this. These are things I am never without and feel like are complete necessities. I think you can use anything for a gym bag. 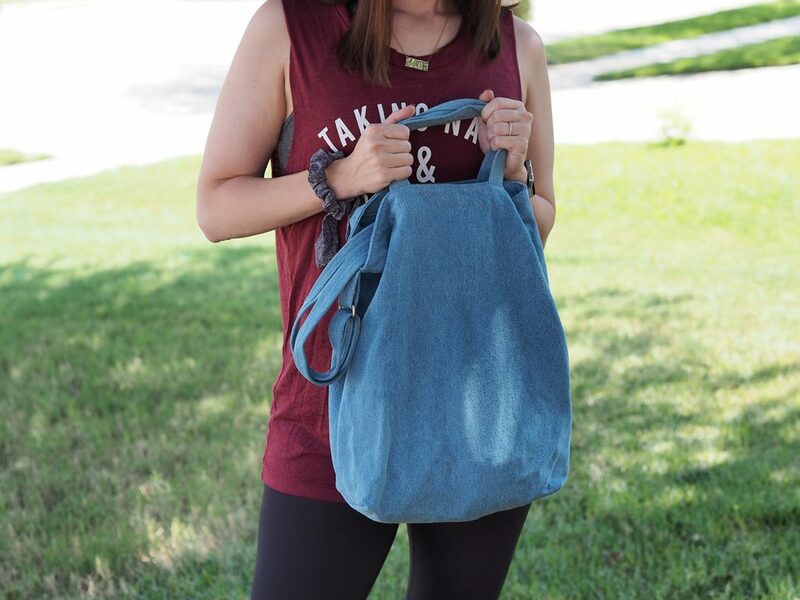 For a long time I used a Lululemon shopping bag! First you want the beauty products you may need during or after. By beauty, I mean a great deodorant (I prefer natural deodorants). 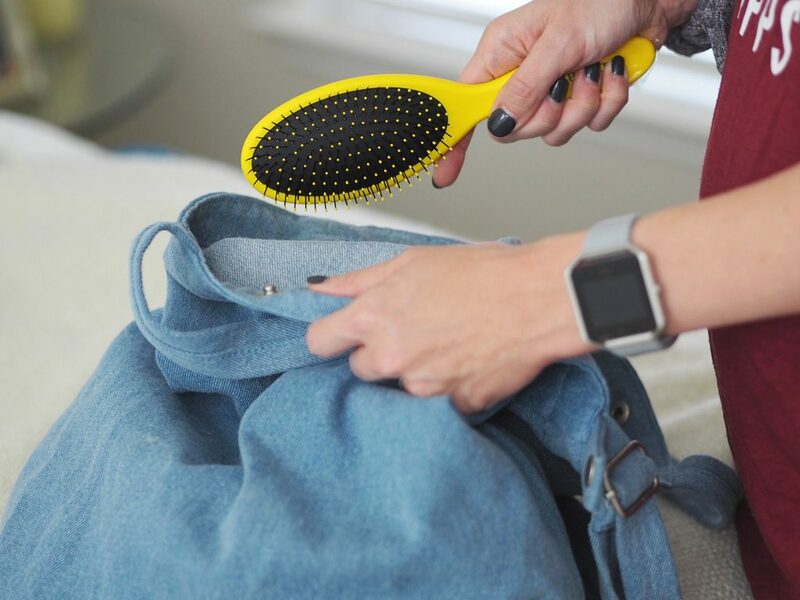 I also always have a brush and hair ties. I think a great lip balm is good to have as well. My lips dry out especially if I run! I also like to have makeup remover wipe/face refresher wipe. You also can’t go wrong having perfume on hand so you smell a little fresher after a workout! The next thing I always have is wireless headphones. They are so great for working out because you don’t even notice they are there! Next for me is a great water bottle for during and a great snack that I can eat before or after. I know I can’t work out without eating a little something before and a little something after. Currently I am all about Protein One bars. Let me tell you why. 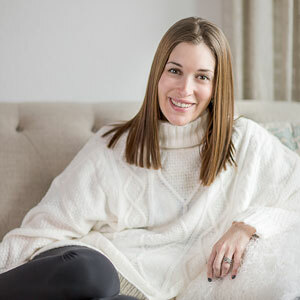 As you know I did Weight Watchers to lose the weight I gained during IVF/pregnancy. If you do the math like I did, Protein One bars are 2 points! That’s it! So, if you are tracking food at all or doing Weight Watchers – that’s a great number. I also love that this bar is filling without making you feel insanely full. They come in four awesome flavors: Strawberries & Cream, Peanut Butter Chocolate, Chocolate Fudge, and Chocolate Chip. My personal favorite is Chocolate Chip! 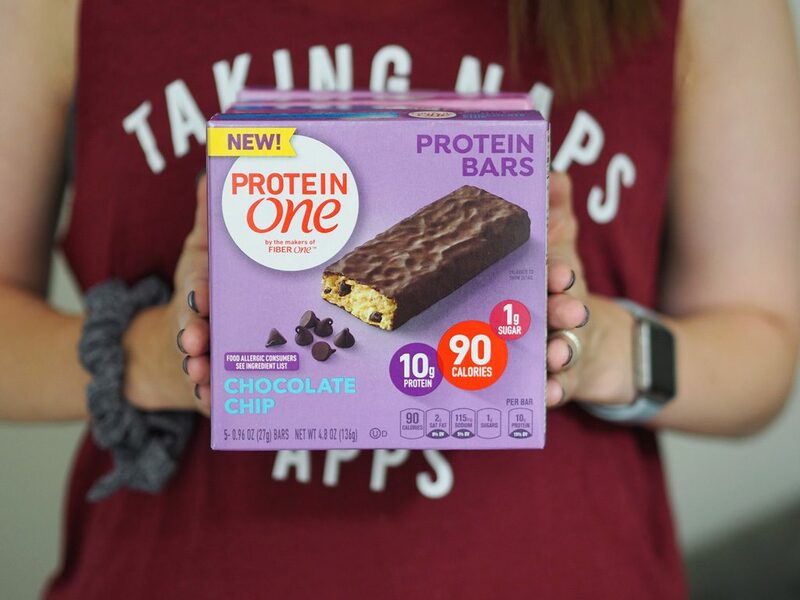 Protein One is a great option for people like me who are looking for a new snack that keeps you on track with your goals. 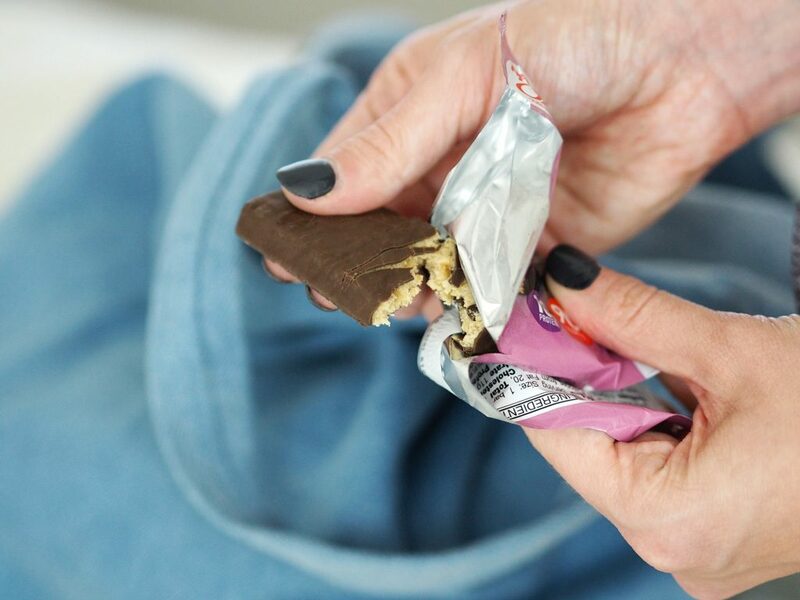 With 90 calories, 10 grams of protein and one gram of sugar – these delicious bars are packed with protein and perfect for your gym bag! I’ve also found they are also great to have on hand in your car for anytime a “Snack Emergency” happens! I always have a change of clothes in my gym bag. You never know if you need to run an errand or to the doctor after the gym and being sweaty is never fun for anyone! My gym has showers, so it’s easy to rinse off and change clothes before heading to my next stop. My last gym bag necessity is either a book or my iPad. I know some days I really want to just walk on the treadmill or use the bike or elliptical and reading is a great way to pass the time. I know it’s not for everyone, but would personally recommend if you haven’t tried it you should! Thank you to Protein One for partnering with me on this post! All opinions are my own. Never tried these bars, but I’m always looking for bars that will keep me full and have enough protein, so I’m curious. These are all great gym essentials though! That chocolate chip bar sounds delicious! Protein bars and deodorant are seriously a must for me! Wireless headphones are a must. But I would also suggest a backup pair of wired ones. You never know when you’ll lose charge! 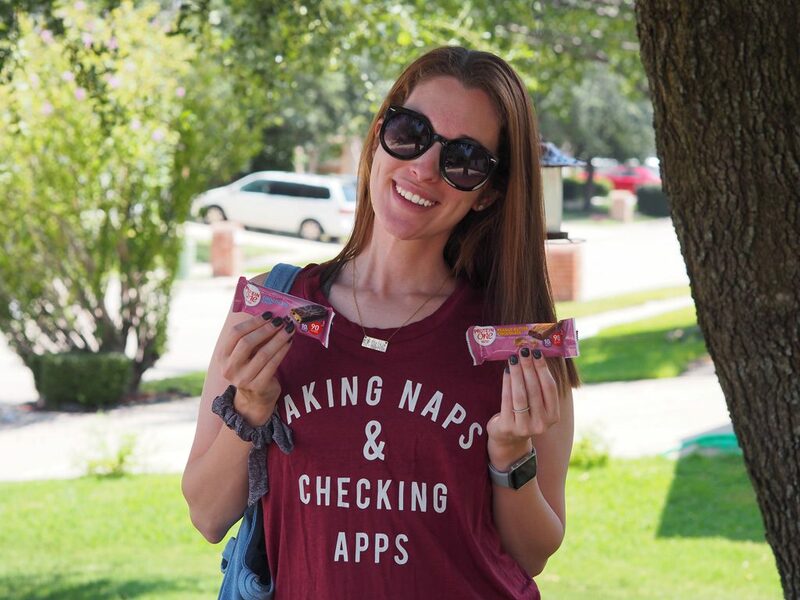 These are some great essentials, loved the roundup and I want to try those protein bars! The bag looks like it is just the right size for me. Not really my type of things for my gm bag but they are good suggestion! Those protein bars are good to recharge. I can’t do the wireless headphones though, they just don’t work out well for me. My oldest son loves them though! Thanks for these tips. I believe they are essential things to pack in a gym bag. However, I don’t go to the gym so I decided to share this post with my daughter and two sons. They are the ones who would live in the gym if it was possible. Haha. THANKS FOR SHARING.So I would like to recommend it. Where did you find the gym and juice bag?